When it’s time to fix your roof, we’re here to fix it as your Georgetown roofing company. Whether it’s a few missing shingles after a wind storm or your roof is in your neighbor’s back yard after a severe hail storm, WDR Roofing Company can fix it. 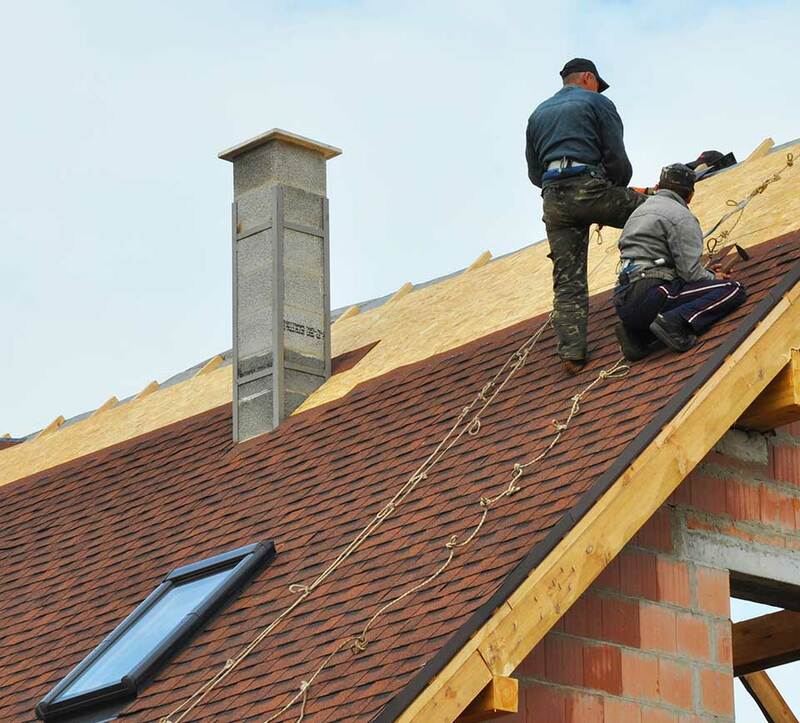 Our team of professional roofers specializes in the best roof replacement and roofing repair services for businesses and homeowners in Georgetown, TX and surrounding communities. We have decades of experience and highly-developed skills to guide you in the highest quality, most affordable roofing solution for your situation. WDR Roofing Company specialists operate with simple goals – take care of the customer, complete all work thoroughly, maintain budget, finish on time. We know if we value our customers as we do on every project our customers will value our local roofing business. Referrals are our greatest reward because we know will soon be on another roof helping another customer. WDR is one of Georgetown’s Top Roofing Companies for leaks or roof repair, replacement & installation. Expert residential and commercial roofing contractors. Everyone needs to take advantage of the WDR Roofing Company free roof inspection service for their business or home. An inspection is a great offer for two reasons – you get to know our company and the integrity of our professional roof inspectors and roofing issues you may be facing will be revealed. A roof inspection gets you started on the road to quality roof repair or roof replacement. Are there signs of current or past wind or hail damage? Any signs of wind/hail damage to windows, deck, fencing? Metal flashing rusted, bent, torn away from decking? Points of leakage around fascia or rotting wood? Gutter connections weak, leaking, showing rot? How “aged” is the roof, how long will it last? Are seals around vents, pipes, and valleys in good shape? Any shingles or tiles missing or broken? Signs of dampness, water leaks from damaged shingles, etc.? Vents, ridge vents, soffits allowing air flow? Property owners should never underestimate the importance of a qualified roof inspection to determine roof issues or the extent of storm damage. WDR Roofing Company roofing inspectors are the qualified, experienced professionals who can assess your roof properly. There are many parts of a roof all working together in a complex structure to create a single, formidable defense to protect your property. Mother Nature is not a kind soul when a severe thunderstorm rolls through Central Texas and leaves a wake of damage and costly roof repairs. Cute critters on TV shows – raccoons, opossums, squirrels – are actually opportunistic vermin that will tear through a weak roof and stake out a new home any time they please. Maintaining your roof as a strong defense system can fight off the next storm, deter nuisance rodents, and save you thousands of dollars over time. Investing in roof repairs now keeps more money in your pocket later. With your roof being such an important part of the overall well-being of your business or household, don’t let a lesser-trained roofer walk your roof. WDR Roofing Company only employs skilled and experienced roof inspectors who all determined to protect your roof. They do this by accurately identifying issues, providing solutions, and helping you get started with repairs. Every day a roof is subjected to harsh elements such as the sun, rain, or wind. A “light” storm may not be the time your roof fails, but each weather event takes a toll on your roof. As the roof weakens over time it only takes one hellacious thunderstorm with hail and raging winds – common in Georgetown and Central Texas – to tear up a roof and send you scrambling for a temporary tarp to keep rain from ruining everything in your business or home. Big storms cause big repair bills quickly. Get a free roof inspection, maintain your roof, complete all roof repairs quickly, and invest in a complete roof replacement as needed. WDR Roofing Company can help with all roofing services so you can invest now to save money on roofing over time. Because a roof is such a complex system of parts – shingles, decking, valleys, gutters, pipes, vents, seals, underlayment, ridges, chimneys – it can be difficult to find the best solution for roofing repair services. The best way is to call WDR Roofing Company and let our team of professionals relieve your concerns. We pride ourselves on being one of the best roofing contractors in the business and our customers trust us to complete all work. Whenever there is a problem, we can help you act quickly with an inspection by one of our roofing specialists. Once we’ve identified the problem, we can offer the best solution, and complete all roof repairs. We understand busy schedules and budgets, so we’ll find a workable time for all repairs and provide quality roof repairs at an affordable price. Roofs won’t keep working forever and there’s no real way to determine how long roof repairs will hold. What WDR Roofing Company does offer is that we guarantee all our work will be completed with the highest quality craftsmanship (We do, of course, offer all applicable manufacturer warranties). At WDR Roofing Company, we don’t take chances with inferior materials. Our customers know they receive top-quality materials from the best roofing manufacturers in the marketplace on every job. Roofing is a serious business that affects people for many years and the WDR Roofing Company team takes all work seriously. We want all our roof repair and roof replacement work to last a lifetime if possible, and we surely want our customers be satisfied with all our services. If we can help your roof fend off the next big storm, we know you’ll return to us if needed. The key to proper roof repair is working with a team of professional inspectors and installers who have the years of training, experience, and skill to complete the best roof work possible. WDR Roofing Company has the team in place to deliver roofing services you need. We start with a roof inspection and finish by cleaning up after every job. In a world where there are so many options for service companies, WDR Roofing Company stands above the crowded field as the trusted roofing contractor in Georgetown and surrounding communities. We’ve worked long and hard for many years to provide the best roofing services nearby our growing business. Whether it’s a simple shingle repair or an extensive roof replacement project, our customers can trust we will deliver all roof work at affordable prices and with a level of quality unmatched in the market. WDR Roofing Company was born as a locally owned business and we’ve grown to a larger scale thanks to our business roots. Our family – our team of professional roofers and installers – enjoy being a part of the local community in Georgetown. We all work hard to maintain a connection other locally owned businesses and our residential neighbors. Sometimes community members just need a little “neighborly advice” about roofing and we oblige them. We know if we can help with the little issues our neighbors, our customers, will come to us to help them with big roofing problems we’re glad to tackle. When you have a roofing problem, it’s never fun to be left waiting for someone to come and help. WDR Roofing Company prides itself of being a responsive service company available when roofing issues occur. We are equipped for emergency roof repair response whenever there is severe damage. We work with businesses and homeowners to adjust to their schedule and get you roofing help when you need it. Because we’re local to Georgetown we can often send help even before other roofers even know a storm hit the area. Experience counts, especially in the roofing business. Our best-in-class roofing team at WDR Roofing Company is trained, skilled, and experienced in all phases of roofing services. We are roofing specialists. Roofing is at the core of our being and what we live to do every day. We are not just another roofing company, we are a full-service roofing contractor capable of providing all needed commercial and residential roof work. Our team starts with an inspection and then we work with you to plan the best course of action for roof repairs, new roof installation, or roof replacement. From regular maintenance to storm damage, WDR Roofing Company has the team of experienced professionals to provide all your roofing services. Call us today at (512) 820-1332 and one of our experienced, courteous roofing team members will get you started to complete all your roofing services needs.